If you need a car key replaced or duplicated, Jon’s Locks is the place to go. We can make you a duplicate set of car keys easily, as well as replace the batteries in your key fob. If you need a car remote of key fob programmed, we’ve got your back. Simply call us to make an appointment. 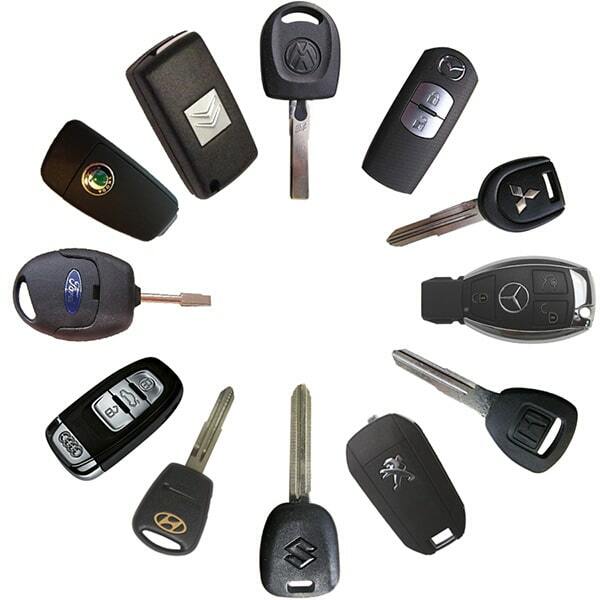 We can replace most car, van, and truck keys, remotes, and fobs. In addition to traditional car keys, we frequently work with intelligent keys, smart keys, and remote head keys. We pride ourselves on providing our customers with the best possible service at a great price, so if you’re worried about the car key replacement cost, give us a call. We also rekey car locks, so if you need your ignition rekeyed, we can help! If the make of your car isn’t listed here, don’t fret. Give us a call. We work with most types of vehicles so there’s a good chance that we can still help resolve your problems. In addition to automotive locksmith services, we also offer locksmith services to residents and business owners through the Warwick and Providence area. So whether you need the locks on your house rekeyed or your need a master key system installed for your business or rental properties, give us a call. We have mobile locksmiths on staff that can come directly to you. There are a lot of people out there who market themselves as locksmiths when they aren’t properly trained and registered. You should avoid them at all costs. Not only does working with a locksmith that’s not registered and insured increase the risk of problems arising, but a locksmith has to be trained and registered to be bonded and insured. So what happens if you use an unregistered locksmith and there’s a problem? It costs you more money to fix it. When you call Jon’s Locks for your locksmith needs, you don’t have to worry about any of this. All of our locksmiths are properly trained, registered, and insured. When you need a car key replacement service in Warwick, Rhode Island, you need to call Jon’s Locks. We strive to provide our customers with amazing service and all of our techs are registered locksmiths. When you choose us, you’re choosing a reputable company that you can trust. Give us a call today to make an appointment to come in or schedule one of our mobile locksmiths to come to you.